A look at the third iteration of Samsung's phablet, plus Galaxy Gear. 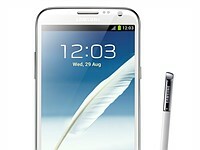 App will also work with Galaxy S4's touchless technology. 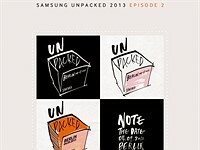 Samsung has released a press invite for another "Unpacked" event. 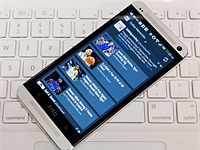 A 6-inch 'phablet' version of the HTC One is expected in September. 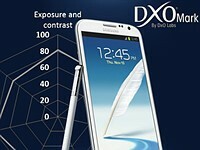 We have just added the DxOMark Mobile Report to our Samsung Galaxy Note II review. Bigger than a phone, smaller than a tablet, the Note II fills a specialized gap, but does it work for mobile photographers? 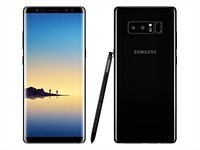 Samsung launches 8-inch Note 8.0 tablet as a direct competitor to Apple's iPad Mini. Update: now with hands-on images. 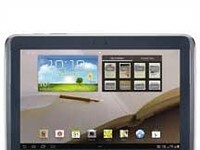 CES 2013: Samsung shows Galaxy Note 10.1 and Ativ Odyssey Windows 8 smartphone for Verizon at CES. 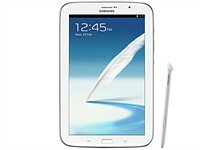 As initial reviews of Samsung's new hybrid phone/tablet filter in, carriers announce availability. When you’re in the field, whether shooting on location or just meeting with your next client, gear that’s powerful and portable is a must. This is where tablets come in to make a photographer’s job easier. Our reviewer looks at five of the top of the line tablets. 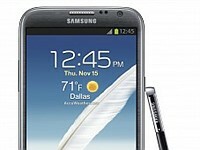 Samsung's 'phablet' is coming to T-Mobile.